Uni Plus Healthcare (India) Pvt. Ltd. is India’s largest company that has evolved expertise in the domain of manufacturing and marketing aloevera herbal and ayurvedic proprietary medicine. Our qualitative range of products includes Aloevera Juice Ayurvedic Medicine, Pure Aloevera Ayurvedic Shampoo with Conditioner, Pure Aloevera Face Wash, Pure Aloevera Gel, Pure Pain Relieving Oil. 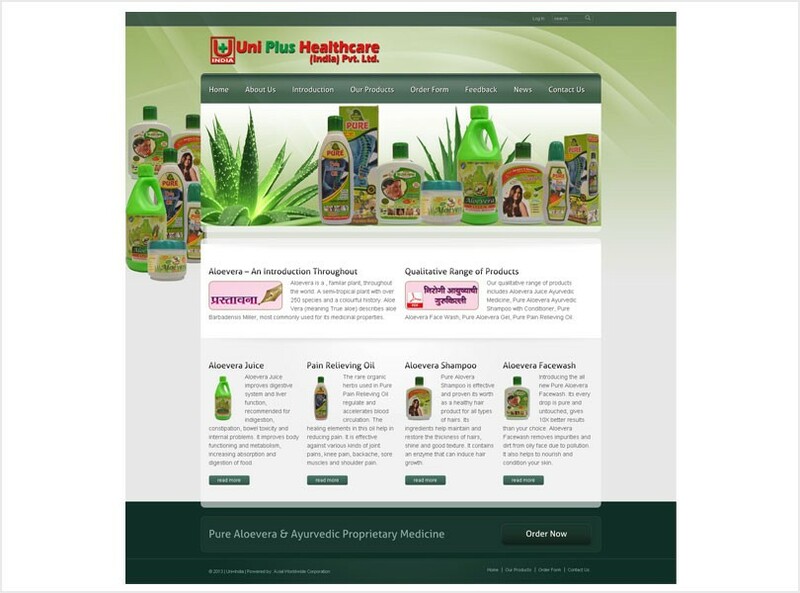 Incepted in the year 2008, Uni+Plus aspires to lead the competition by providing pure herbal aloevera products. The Managing Director of the company, Mr. Vijay Gavali has incorporated his deep knowledge and experience to deliver natural products worldwide.